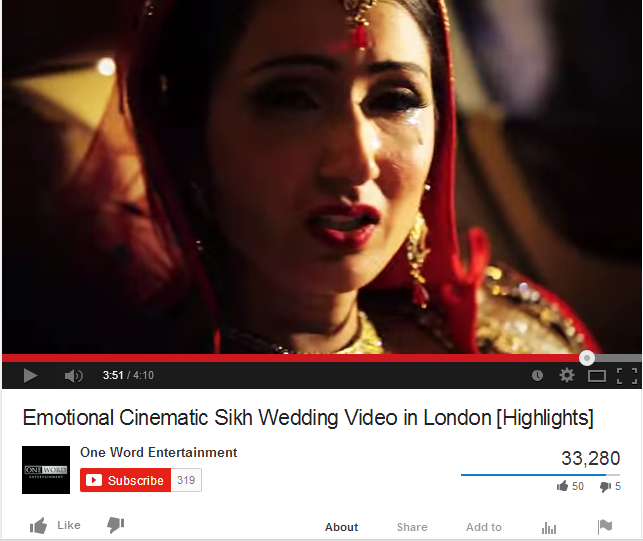 A pandora’s box - Our Favorite Indian Wedding Films - BREVILOQUENT. What is more enchanting than the classic Indian wedding? A pandora’s box of emotions, teamed so wistfully with a gang of old and new friends, and to top it off, the quintessential ever loving Indian relatives! This sure makes for a recipe for some treasured memories, one that you would want to relive time and again. And why not? One deserves to have a chance to relieve their favourite moments from the most important day of their life, and technology with an eclectic mix of creativity has made it happen. The interesting part is, we like to see not only our friends’/relatives’ wedding videos, but even those of random strangers- love has a funny way of being universally coherent. To watch a happy couple getting married is so satisfying, but what sets this wedding film apart from the rest for us is that you can actually feel how excited the bride is to start a new life with her groom, who is also her very good friend. 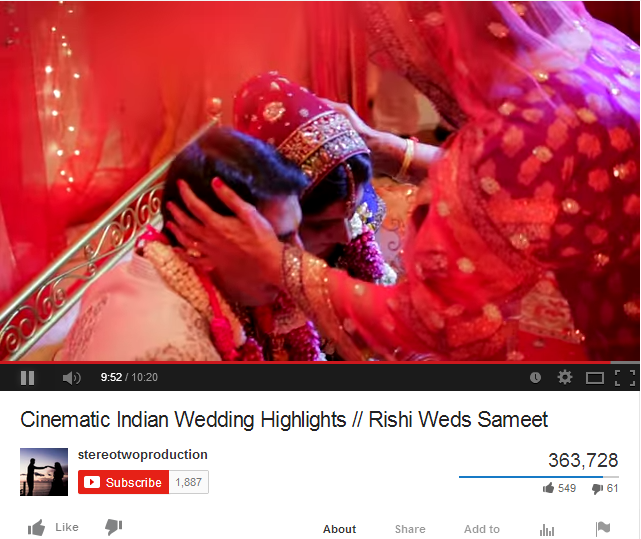 This film by The Wedding Filmer seems to come straight out of a fairytale movie by the way it has been shot. 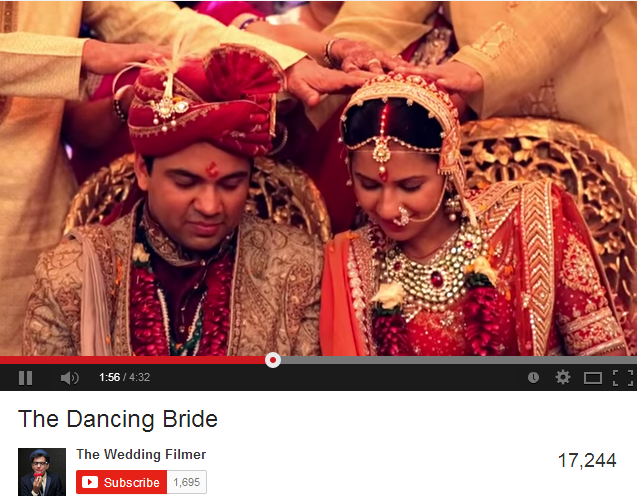 Some great wedding moments have been captured on camera in this film and it’s a treat watch them. The film is about two sisters getting married on the same day and the video will melt your heart away as there is nothing ordinary about these couples which you will find out when you watch this film. These couples show everyone what true love really is. One of the sisters met with an unfortunate accident with fire while trying to protect the family but that does not deter her from showing everyone how truly beautiful she really is. There are so many different rituals and customs involved in an Indian wedding and this captures every bit of it so elegantly. The bride and groom are having such a good time with their friends and family at their own wedding that you can’t help but smile at. The video ends with the song ‘Jab Tak hai Jaan’ and you really do believe that the bride and groom will stay together till ‘jab tak hai jaan’. 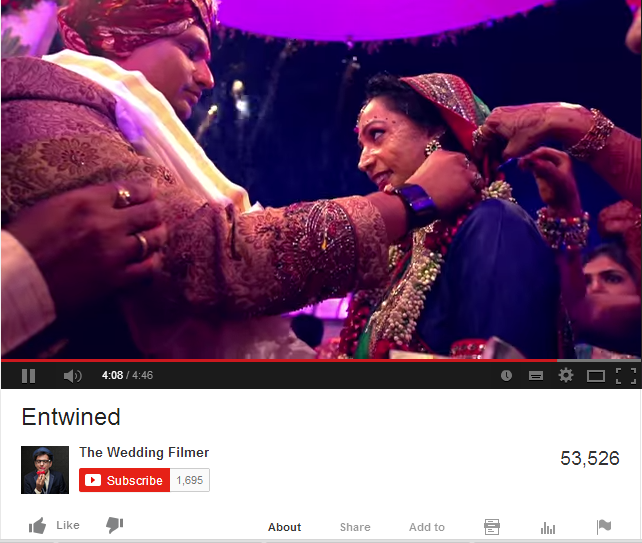 We love this video because it so calm and slow that it lets you absorb everything involved in an Indian wedding so easily. This wedding film begins with the beautiful shot of the bride sitting and thinking about the big moment that is about to come. 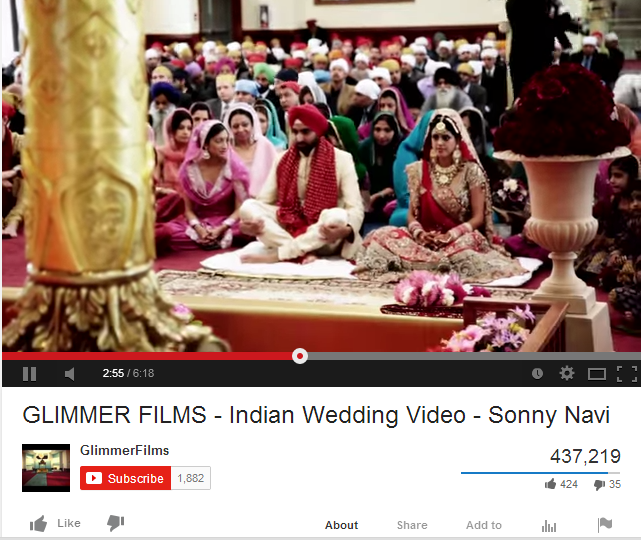 The video very gracefully captures all the customs in a traditional Sikh wedding. We hope your story is your favourite.